Then you’re not alone, everyday businesses and organisations all across the UK come to Crown Oil looking to save money on their fuels, oils and lubricants. No matter whether you’re the owner of a small business or an employee of a large business, each and every one of them has the same thing in common. They’re all looking for a fuel supplier who can both provide them with low prices, as well as providing their business or organisation with a high levels of customer service, whilst ensuring their fuels, oils and lubricants orders are delivered whenever they’re needed, night or day, 7 days a week, 365 days a year. Can your current supplier do that? Give our friendly team a call today on 0845 313 0845 to request a quote and see how much we could save your business or organisation when you order fuels, oils or lubricants. Many businesses, whether they be B2C or B2B hold off providing their best prices to their customers until the most common sales periods such as Black Friday, Cyber Monday, Bank Holiday and so forth. Of course, that’s great for their customers, but what do you do when you’re looking to save money on your fuels, oils and lubricants any other time of the year? If you’re buying a new car, van or truck, there’s usually no urgent rush to buy a new one, so you can often wait for one of these sales promotions to take place. But when you’re buying products such as red diesel, white diesel, industrial heating oil or kerosene, for example, you may not always be able to wait and hold off making purchases. Here at Crown Oil, we believe that each and every one of our customers should feel valued and get our best prices no matter what time of year it is. So you don’t always need to wait for November’s next Black Friday for a sale, or a Bank Holiday at Easter or August for example, or even a January sale. Get our best prices today! As one of the UK’s largest fuels, oils and lubricants companies with a nationwide reach, our buying power enables us to make substantial savings, which we then use to cut our prices, which helps our customers to make substantial savings simply by buying from one of the UK’s largest independent fuel suppliers. We’re a family run business with over 70 years’ experience of providing our range of fuels and services to customers all across the UK. In that time, we’ve always worked hard to ensure we’re always able to pass on our best prices without the need to rely on special offers and promotions for a few weeks each year. We believe all of our customers deserve our best prices all year round, not just for those lucky enough to order at the right time. So each and every day of the year, Crown Oil provide our customers with special prices designed to ensure your business or organisation is always getting our very best prices. If your business is a high demand user of fuels, oils and lubricants and you’re looking to save money when purchasing anything from red diesel, white diesel, industrial heating oil, kerosene, etc. By purchasing larger quantities of the fuel products you need for your business or organisation, even greater savings can be made. You should always ensure you’re only buying fuels, oils and lubricants that you plan to use, rather than buying increased quantities simply to make the additional savings. Especially if you’ve been tasked with finding the best prices available anywhere in the UK by looking for special offers and promotions. If you know your business or organisation will be able to make use of the fuels, oils or lubricants you’re purchasing by purchasing larger quantities, but less often. You will need to ensure that you have suitable fuel storage tanks available to store the additional fuel. 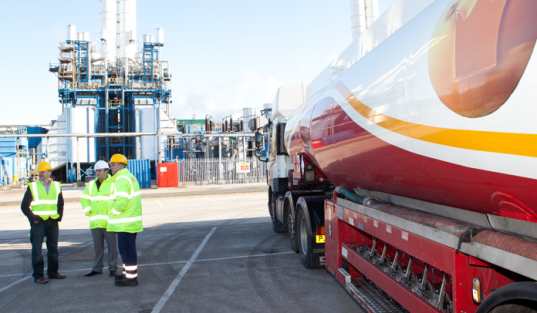 As the experts in supplying fuels, oils and lubricants, we have a thorough understanding of which fuel storage solutions will be most suitable for your requirements. Of course, managing your fuel ordering to both ensure you never run too low, or even out of fuel, whilst at the same time helping you to manage the ordering process to ensure you purchase the quantities that your business or organisation needs, when you need them, which could also help you to save money on each and every order you make from Crown Oil. No matter whether you’re looking to buy in bulk to get our best savings, or hoping to see just how much we could save you all year round. All you need to do is speak to one of our friendly team who will be able to answer any of your questions about our full range of fuels, oils and lubricants. Our team can provide you with a quote with our best prices today, no need to wait for sales, offers and promotions to make a saving with Crown Oil! So give us a call today on 0845 313 0845 to put our prices to the test.